Getting a used car, truck, or crossover SUV need not be a stressful experience. That’s because Discovery Ford Sales near Bruno, Prud’ Homme, Sagehill, Saint Benedict, Middle Lake, Pilger, Fulda, Marysburg, Muenster, Saint Gregor, LeRoy, Englefeld, and Lake Lenore Saskatchewan is the best dealership to find a reliable, safe, and stylish vehicle, value-priced every time. The Ford Certified Pre-Owned Program is a philosophy of selling the absolute best pre-owned Ford vehicles in the marketplace. To qualify for this program, each eligible Ford Pre-Owned vehicle must pass a rigorous inspection completed by factory-trained technicians. The inspection covers the powertrain, chassis, amenities and the overall condition of the vehicle before it can be officially certified. At the foundation of the Ford Certified Pre-Owned Program is a comprehensive package of services and benefits that will give you confidence and peace-of-mind in your purchase. All Ford Certified Pre-Owned Vehicles are backed by The Ford Motor Company of Canada. See dealer for full program details. CarProof is a Canadian provider of vehicle history reports. Their reports are a tool to take the unsurety out of buying (or selling) a used car with an independent document detailing real world data and documentation from several official sources. What’s included in a CarProof Report? It’s free! 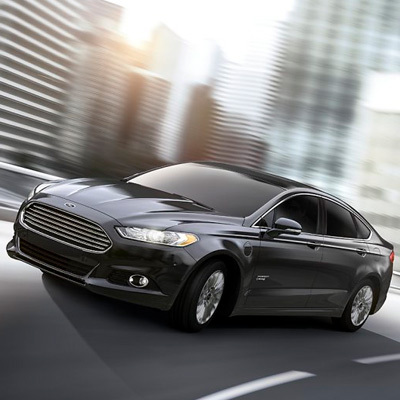 Our sales department includes a CarProof report with every certified pre-owned Ford vehicle. Want to see the CarProof report on a particular car before you buy? Contact us today and our sales manager would be happy to provide one for you to peruse. CARPROOF*Ford Certified Pre-Owned Comprehensive Limited Warranty coverage is provided for 12 months or 20,000 kilometers (whichever comes first) from the expiration of Ford New-Vehicle Bumper-to-Bumper Limited Warranty or the date of your Certified Pre-Owned vehicle purchase, whichever comes later. The coverage provided by the Ford Certified Pre-Owned Comprehensive Limited Warranty is not as extensive as that provided under the New-Vehicle Limited Warranty. See dealer for full details. **Included concurrently with your Ford New Vehicle Limited Warranty and most Ford Extended Service Plans. Roadside assistance is available 24 hours a day, 365 days a year across Canada or the Continental U.S. Services are provided by Sykes Assistance Services Corporation. Services include: Flat tire change; Battery jump starts; Towing assistance up to $100; Lockout assistance; Out-of-fuel assistance; Travel expense; reimbursement up to $500 for up to three days’ lodging, meals and rental vehicle for travel expenses accrued when the breakdown occurs 160 Kilometers or more from home; Destination assistance covers taxi, shuttle or rental car expense up to $75 for emergency transportation to the immediate destination. See dealer for full details. ^If your vehicle is inoperative and must be kept overnight for a covered repair, including recalls involving a Ford Certified Pre-Owned Comprehensive Limited Warranty covered component, you will be reimbursed up to $30 per day (including tax) for up to five days or until repair is complete, whichever comes first.